Our houses have been built where previously there were meadows and forests which were a refuge for wildlife as well as a source of food and water. Today, in many areas, there are too few habitats around cities for local animal species to live. Scientists have observed a decline of 40% in the number of migratory birds in recent years. Animals have four needs basic: they need food, water, shelter and a place to raise their young and you can help them in several ways in your own garden. This year started out wet and windy but spring has almost arrived and here are some ideas for welcoming wildlife and providing the right surroundings in your garden. First of all you need to know what type of soil you have and also its water retention so that you can choose plants that best suit the soil and the conditions. Most plants need sunlight so arrange them with the tall shrubs and trees at the back and the smaller plants at the front of your flowerbeds. Trees play a vital role for wildlife: they provide animals with a refuge, a place where birds can build their nests, food in the form of flowers, leaves and fruits as well as shading, moisture and protection from natural elements. Coniferous trees which retain their needles or leaves throughout the year provide good shelter for wildlife in the winter. Choose, where possible, native tree species. Animals recognize these tree species and they are the easiest to grow. For the benefit of wildlife, it is best to plant groups of trees close together rather that individual trees distant from each other. Once established, you can use these as a location for nesting boxes for birds rather than on buildings. 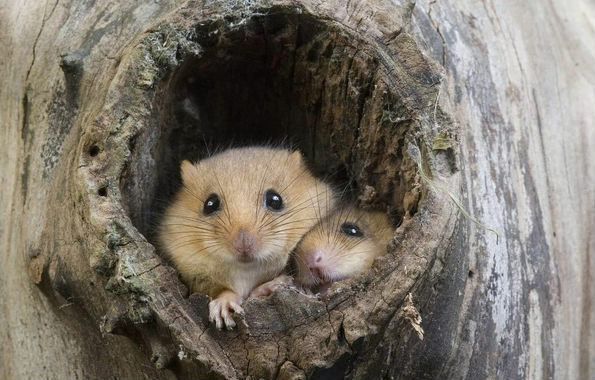 A shelter is essential for animal survival. In their natural habitat, animals find refuge in tree trunks, fallen rocks, leaves, trees, foliage. Dead trees are removed from private land because they are deemed unsightly and of no use. In reality, they are very important for many animals. Some animals, including some species of birds, bats and masonry bees, can be attracted with these easy to build “homemade” nests. If you have space in your garden, you can create a wild area with piles of logs which will attract insects, frogs and toads, and small mammals too. The next time you have a tidy up in your garden, don’t take all the dead leaves, grass cuttings and twigs to the local tip, keep them in a corner, out of sight if you like, and these will make excellent nesting materials for birds. You could also create a compost heap in a small container using your garden debris and kitchen rubbish such as vegetable peelings. This will need to be turned every so often but, when you do, be careful not to harm the slow worms which may be sheltering there and will eat many garden pests for you. Water also attracts animals and wetlands are essential to the ecosystem and shelter more living species than any other habitat. Creating a pond, however small it may be, in your garden could provide many animal species with both the water and the wetland they need. 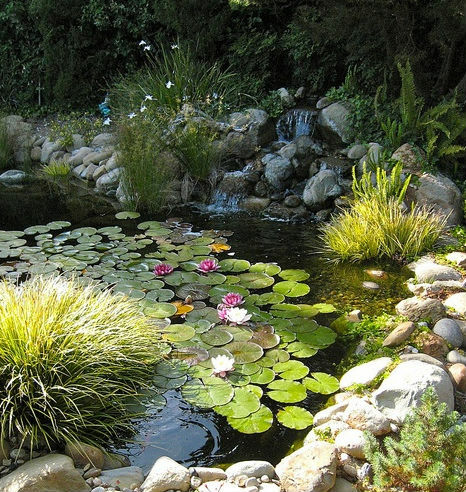 Your new pond might attract frogs, dragonflies, lizards, birds taking a bath and thirsty mammals. Try and create a small patch next to the pond which stays wet, a little marsh type area with plants which insects will thrive on – once you create a home for insects the rest of the food chain, upwards to the largest birds and mammals, will follow. lt is easy to create a flowery meadow. A meadow is an area in which herbs and flowers are left to grow. A sunny location in the lawn is the most appropriate. 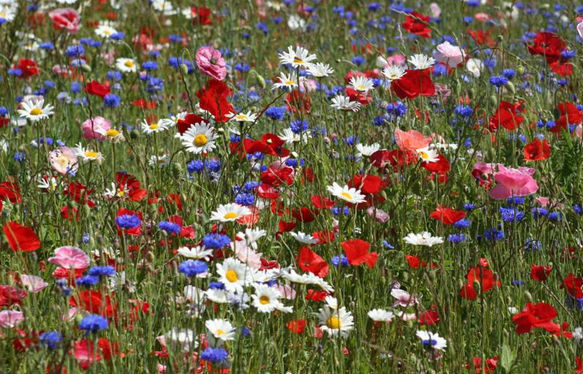 Meadows simply thrive on poor soils and require little care if you plant herbs and native flowers. They will also attract butterflies, crickets, and many other interesting insect species. Birds will come there looking for food and shelter as well as for materials to make their nest. Frogs and toads are attracted by the meadows because of the abundance of insects and the shade created by the plants and the longer grass. 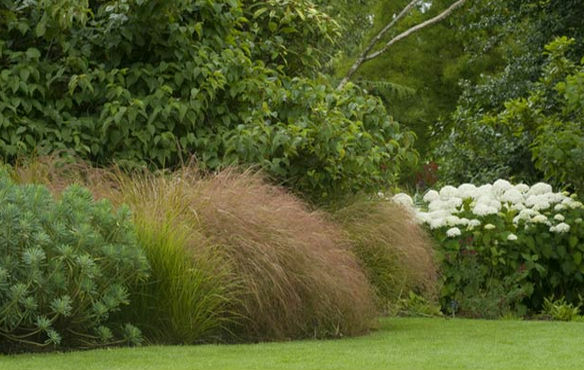 To create a meadow, stop mowing part of your lawn and allow the grass to grow and seed itself. Sprinkle some wild flower seed and they will soon begin to grow. If you also have a pond, your meadow might get a visit from dragonflies searching for insects. Try growing some chamomile for a special scent and real magnet for our native butterflies. If you have room in a corner for some nettles these provide the breeding ground for all sorts of butterflies but especially the handsome peacock or small tortoiseshell – both need all the help you can give them and they bring your garden to life in high summer. This article was posted in Eco-friendly, General, Landscaping and Gardening. Bookmark the permalink. Follow comments with the RSS feed for this post.Post a Comment or leave a trackback: Trackback URL.